Louise Champoux-Paillé is an exceptional woman, a pioneer in many respects. The promotion of women’s talents and abilities has been a major issue in her professional life and her many commitments as a volunteer for the past 30 years. She began her career in finance in 1971, a time when women were few and far between in that sphere. She moved quickly into senior positions, bringing with her a strong social, economic and cultural focus, while advocating for a larger presence of women in strategic jobs in institutions. She became the founding Chair of the Bureau des services financiers du Québec, a regulatory body overseeing insurance, financial planning and pooled investment fund representatives, and was Executive Vice-president and Executive Director of the Ordre des administrateurs agréés. Louise Champoux-Paillé was the first woman president of Leucan and the first woman chairperson of the Cercle des administrateurs de sociétés certifiées. These commitments and responsibilities led her to address the lack of women in boardrooms and stress the importance of more representative senior management in terms of skills and gender. When the Ontario Securities Commission urged companies listed on the stock exchange to ensure greater diversity in their boardrooms, she submitted a brief endorsing their initiative. 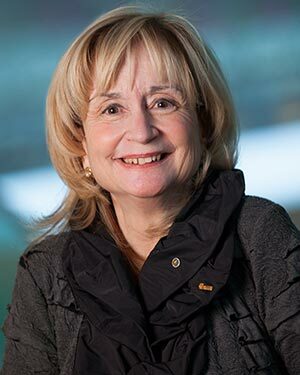 In 2012, the Government of Québec recognized her exceptional career by awarding her the title of knight of the Ordre national du Québec for her ground-breaking achievements in the financial institution sector and her involvement in Leucan, where she contributed to the regionalization of services for families and a new approach to funding within the Québec business community.This award also acknowledged her role as chair of the Board of Trade of Metropolitan Montreal’s Comité Accès 51, charged with promoting women’s membership in boards of administration by creating a directory highlighting the existence of skilled women board members. When the directory was published, women represented only six per cent of Québec’s boards of directors. She was further recognized for her work as a director of the Mouvement d’éducation et de défense des actionnaires, where she sensitized the management of major listed Canadian corporations to the importance of having more women in senior positions. In addition to her dedication to the community and to her profession, she has always strived to find balance between her family life and the need to ensure continuity through her mentoring, teaching and research efforts. Her emphasis on finding balance and her confidence in future generations were recognized as well, when she won the Governor General’s Award in Commemoration of the Persons Case, granted each year to five Canadian women who have made outstanding contributions to the quality of life for women and girls in Canada. The recipients of this award follow in the tradition of courage and determination of the five women who won the right for women to be legally recognized as persons in Canada in 1929. She was also awarded the Prix Performance de L’UQÀM which rewards exceptional graduates who have distinguished themselves in their fields of endeavour by their accomplishments, their perseverance and their leadership. A similar award was also bestowed on her by the Collège Marie de l’Incarnation. Louise Champoux-Paillé is without a doubt a committed woman whom we can thank for carving out a greater place for women in our institutions in Québec.